Born in Rome on the 25 of October 1942, Italian nationality, married. Training and awareness raising on accessible tourism and equal opportunities for people with disabilities. From 2009 member of the Commission for the promotion and support to accessible tourism created by the Ministry of Tourism and recently (June 2012) reconvened by Ministry Gnudi of the present Italian Government. She participated to the creation of FfIT (Federation for Integrated Tourism): an association of tour operators specialised in the field of accessible tourism. We are celebrating the first 5 years of existence of ENAT and the results are particularly important: the network developed and is now a well established and acknowledged international network on accessible tourism, both at European and international level, thanks to the hard work of the Board who managed the Organisation and to its President. Consequently how should we build up our future? I am convinced that the key words for our further growth must be “Consolidation” and “Development”. There is the need to foster our past successes as our present image in the tourism for all world still attracts many new organisations, interested in joining the network, mainly due to its visibility and experience in the field and the added value that they can give to their own activities by simply participating. There is the need to promote ENAT further to make the network reach its well deserved position of a recognised referral point in the field, whose opinion, advice and support must become a must in every situation dealing with accessible tourism. To be able to reach these goals we have to be very realistic in analysing our strengths and weaknesses. clear definitions of areas of activities to be set up and provided to members as ENAT certified services. This is a fundamental issue to be dealt with since the availability of enough economic resources will allow the Organisation to be more independent in pursuing its institutional objectives. e) definition of a business plan and identification of relevant opportunities, to introduce paid services online. d) in the long term ENAT could also envisage the possibility to get ISO certification on its main activities, which is a cost, but should also be seen as an opportunity for further inclusion of the network in public contracts. Training in the field of tourism for all is an issue whose importance is recognised at every level. See the recent call for tender for a study, commissioned by DG Enterprise, on training and skills need for accessible tourism, which ENAT is a partner to. The Network should develop further online training possibilities, offering a free basic course, as the ones already present in the web, and then encourage tourism businesses and education organisations to follow more comprehensive courses at a competitive cost. The topics may be adapted to different audiences and ENAT may also take advantage of the existing experience of many members, recognising them a royalty. Another opportunity for business could be the offer of face2face training. In this case it would be necessary to create a group of expert trainers within ENAT, with experience in the different areas required by a complex issue like the one of accessible tourism and the possibility to deliver the course in English and, possibly, the national language of the country where the training will take place. The relationships with the major worldwide tourism organisations, already based on signed MoUs and cooperation agreements, should be maintained and improved to achieve a more decisive role for ENAT in the issues related to tourism for all, particularly in the preparatory status of major decisions. Cooperation agreements should be sought and established also in other areas of public bodies at EU and national level, social organisations, such as Unions and/or bodies whose mission is job inclusion of people with disabilities: ENAT role could be the one to promote more focused actions towards accessible tourism and jobs’ creation in the tourism field, thus offering people with disabilities an additional opportunity for widespread social inclusion. 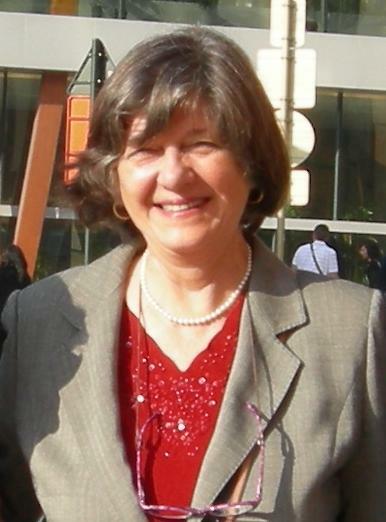 ENAT's first President, Lilian Müller, will step down from her position after 5 years of service at the Annual General Assembly which takes place in Ávila, Spain on Tuesday (evening) 25th June 2013. Only ENAT Full Members are entitled to select a new President, in accordance with the Statutes. Full Members are requested to send a representative to the AGA or, if hindered from doing so, give their mandate to a fellow Full Member. ENAT Associate Members may attend the AGA as Observers, subject to available space in the meeting room. For further details about the AGA please use the ENAT Contact page.